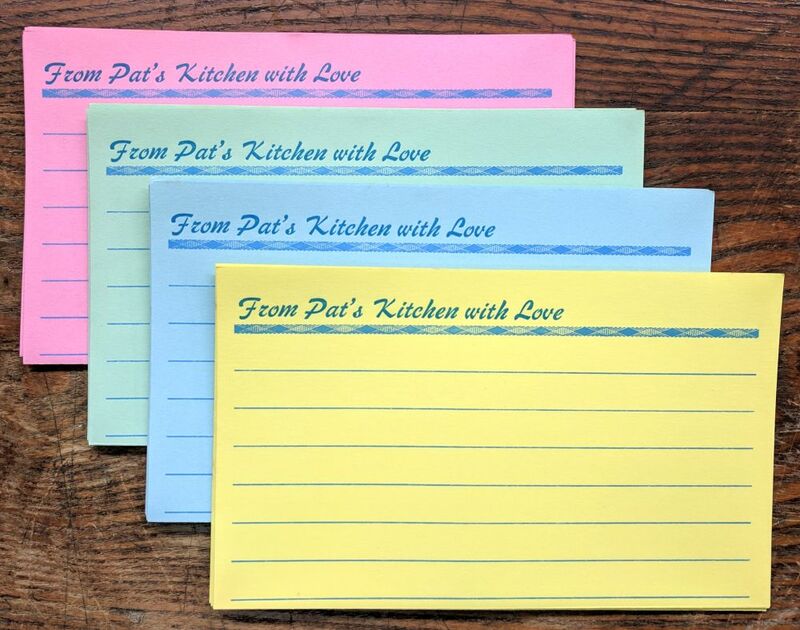 These handy recipe cards are a full 5 x 6 inches in size, folded in half to fit a 3 x 5 inch card file, but gives you twice the room for writing your recipe. The front side is lined and the back side is plain. Forty letterpress printed cards, with one line of type of not more than 25 characters (unless otherwise specified for your selected type style). Assorted bright colors only, no accented letters, and all sheets must be printed identically. Printed in blue ink in your choice of one of the illustrated Recipe Card type styles. Packaged in an attractive gift box.